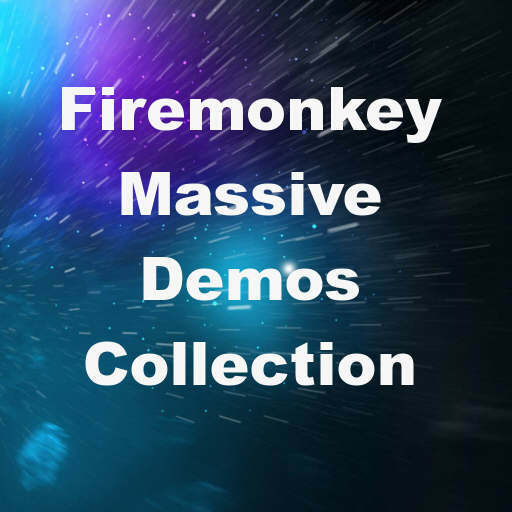 There is a new repository up on Github with a massive collection of demos with source code for Delphi Firemonkey on Android, IOS, OSX, and Windows. Demos are included from Embarcadero, TMS Software, Winsoft, Devart, Steema, OrangeUI, DPF IOS, DPF Android, and a whole host of other developers. There are literally hundreds of demos with probably hundreds of thousands of lines of Object Pascal (and C++) code for you to pick through. You can use the Github for Windows client to download them all in one go. One useful thing you can do with the repository is search through all the demo code at once. So for example you could search for ‘video’ or ‘mp3’ or ‘bitmap’ and you are going to get all of the demos that reference those types of projects. It can be a great way to discover code snippets. This also makes it really easy to find an existing codebase to launch your project from instead of having to start from scratch. The demos from the third party vendors like TMS Software and OrangeUI obviously require that you have those components installed but most component vendors provide free trials. The demos from Embarcadero include demos for XE5, XE6, XE7, and XE8. You should be able to use a lot of these demos with Appmethod as well. If you know of or have some demos that are not included in the repository let us know so we can get them in there. Head over and check out all of the source code for hundreds of Delphi Firemonkey demos on Github.